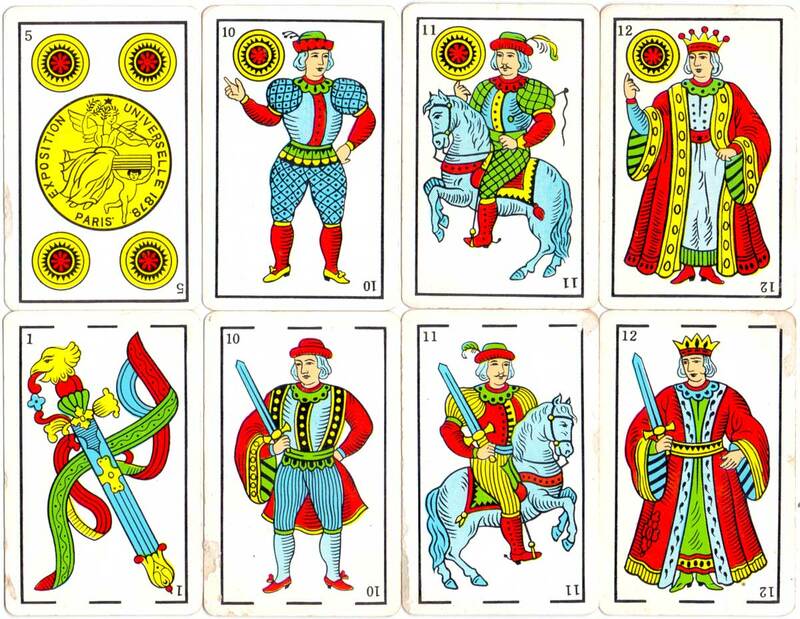 Spanish-suited playing cards printed for the Estanco de Naipes del Perú, anonymous manufacturer, c.1960. 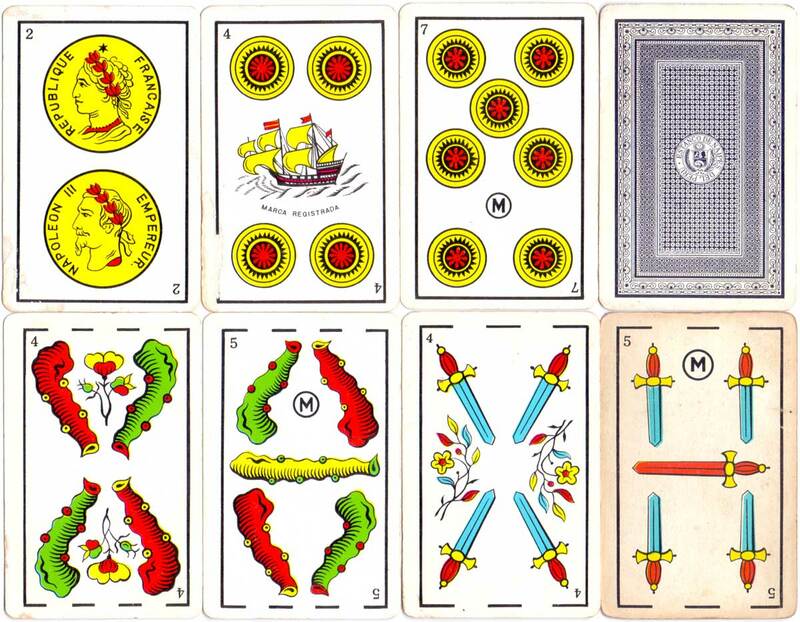 A circular 'M' motif appears on several cards, presumably the manufacturer's logo, otherwise the designs are the standard Cadiz pattern. 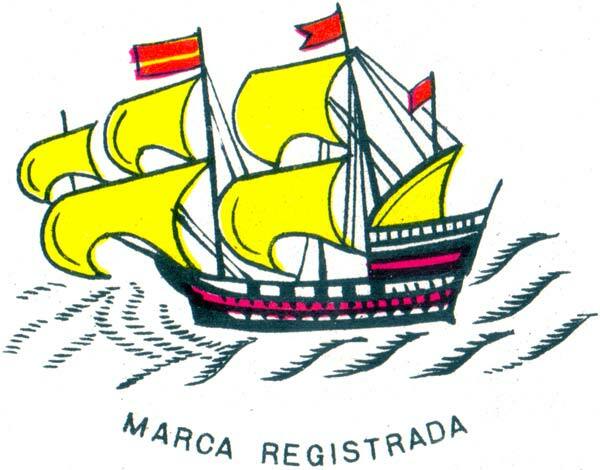 The three-masted galleon shown on the four of coins, with a Spanish flag on the masthead, is copied from a known Spanish brand. 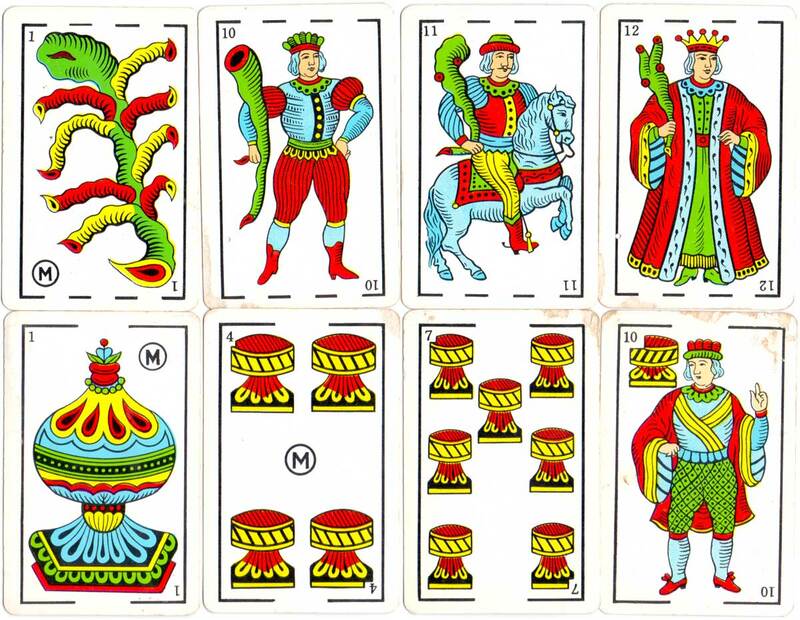 The Estanco de Naipes del Perú logo is shown on the reverse of the cards.